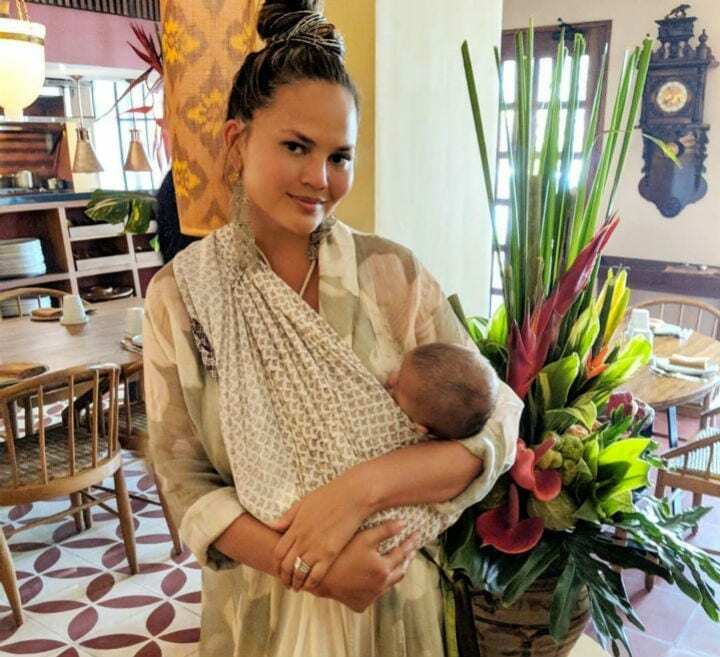 Celebrity, model, and supermom Chrissy Teigen is what you might call a master of social media. She shares vignettes from her everyday life over on Twitter and Instagram for literally millions of followers, and for many of us, she’s one of the highlights of our newsfeed. The point is, when Chrissy shares something, people listen. No matter what it is, it seems. Even if it’s a snail inching across the ground. Yes, really. Teigen is not afraid to let it all hang out on her social media, and she has fun sharing her stories for all the world to see. If you never knew Chrissy was a down-to-Earth gal, her most recent Instagram story will prove it to you. One rainy day, she looked outside her window and saw a new visitor who caught her attention. Instead of keeping her friend all to herself, Chrissy grabbed her phone and headed out in the rain. She sat down right on the wet deck and started filming her newest discovery. 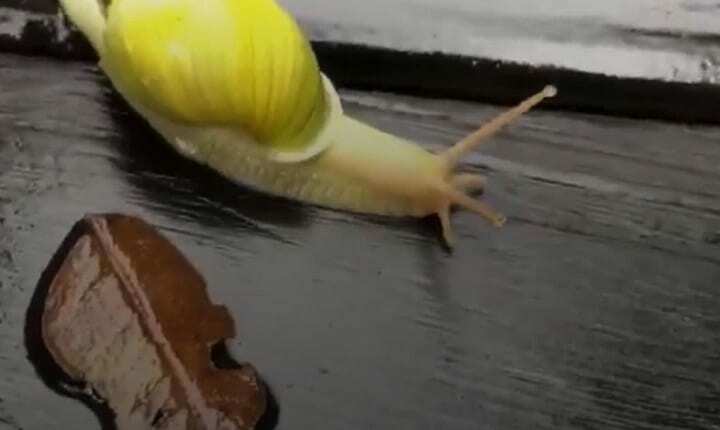 It was none other than a pretty yellow snail, making his way across her deck. She named her new friend Slug and cheered him on as he made his way across her phone screen. Chrissy took it upon herself to ensure Slug’s safety, so she watched over the little guy until he was safe across the deck. Three million onlookers viewed her videos and took an interest in Slug, the snail. The world doesn’t always move fast. Sometimes it moves slowly, and you have to slow down right along with it and appreciate the little things. Want to see Chrissy’s entire snail story? Take a moment, slow down, and watch.